Our former web site was hacked, so rather than continue with it, we are starting over with a new website, domain name, and doing it all via WordPress, which has a bit of a learning curve, but is very good overall. 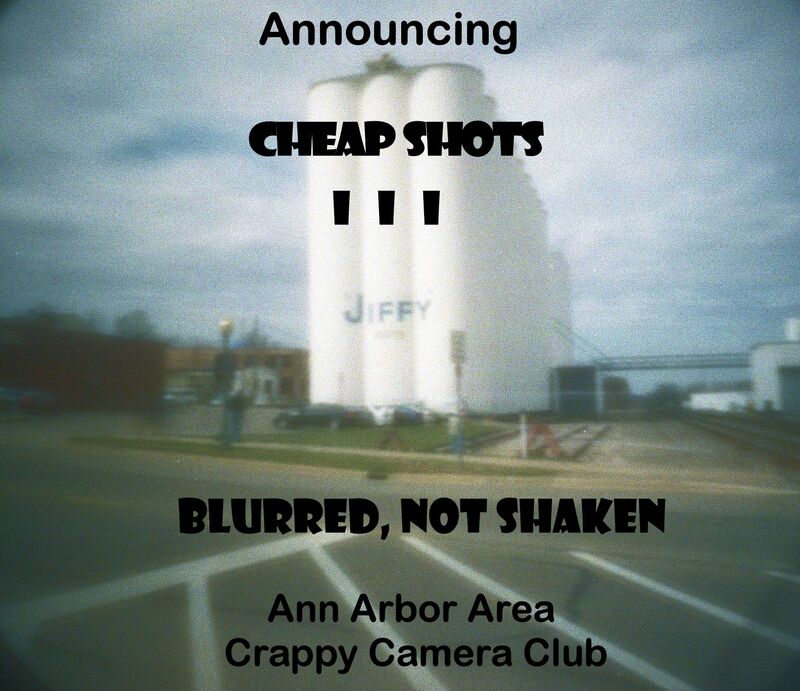 Our new domain, a2crappycameras.org is a bit more on target, and of course, those in the know should realize that A2 = Ann Arbor. It’s been a crazy year for us, and we are looking to fill some open slots on the A3C3 board. We are looking for someone to be the secretary, and another member-at-large would be good to have. Also, as our positions are 2-year terms, elections will be held late this year for 2016. We have had some great times, and we had the pleasure of presenting Cheap Shots III back in May, at the Argus Museum. Some fine examples of work done with holgas, pinholes, etc. (as in real crappy cameras), and we had a great review in the June Ann Arbor Observer. Several Photowalks have taken place, the latest being at Cranbrook on August 8th. It’s always a lot of fun getting out there to shoot, and Cranbrook deserves repeat visits. Meetings: First Monday (MOST OF THE TIME) of each month at 7 p.m. Check out the web page and social media sites for meeting location and event information. Becoming a member of the A3C3 supports the group and the community at large by promoting the use of film photography. Annual membership costs $15, and can be paid directly to the Secretary or Director of the A3C3 at meetings or sent in the mail. Paid members of the A3C3 will have the privilege of participating in private group events and workshops, and also may receive special consideration at A3C3 community events. By becoming a member, you directly support group activities, funding fun and engaging film events.